Hungry for an appetizer of Lost scoop as you impatiently starve for the start of season 5, which bows in early ’09? Then feast on this: Executive producers Carlton Cuse and Damon Lindelof tell EW they’ve just completed casting of two major new characters joining their saga next year. Last week, Michael Ausiello reported the addition of New Amsterdam alum Zuleikha Robinson. This week, we’d like to introduce you to Saïd Taghmaoui, a French thesp most recently seen in the Don Cheadle thriller Traitor. He’ll play Caesar, a mystery man who… um… well, that’s all we got. But the producers say the actor’s skill set fits the part. “He has an innate intelligence, intensity, and danger we really responded to,” says Lindelof, who declined to specify whether Caesar is good or bad, though he did tease that the character will be playing “an important part of the setup for the simpulan act of the show in season 6.” He also confirms that Robinson’s Ilana is associated with Caesar, and Cuse likens her to Heath Ledger’s Joker in The Dark Knight. “There was something very unsettling about the way the Joker kept telling different stories about his background — something very similar to what we had planned for Ilana,” he says. Look for a delayed introduction for the duo, beginning with an intriguing set-up followed by a gradual increase in screen time that won’t detract from established faves, much like how season 4’s newbies, the Freighter Folk (Jeremy Davies, Rebecca Mader, Ken Leung, Jeff Fahey), were worked into the mix. (The producers say we’ll be seeing more of the FF next year, too — even Fahey, last seen escaping the Island with the Oceanic 6). FYI: Zuleikha rhymes with You-Like-A, while Saïd sounds just like Lost’s own Sayid. 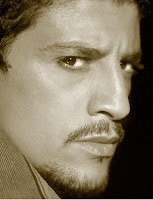 In fact, Taghmaoui also played — get this — the Iraqi soldier who tortured Mark Wahlberg in Three Kings. Should theorists be looking for hidden meaning in this seemingly coincidental linkage? “No,” says Lindelof. “Just… no.” Oh, okay. But how about the theory that Smokey is… [Click] Hello? Hello? !